Rocky is a handsome entire black and Tan dog aged 6. He is currently waiting to be assessed. He is very energetic and would play ball all day if allowed to. Rocky is good with children but because he is so lively despite his age we would only place him with older children. He hasn't been walked for sometime and his only exercise is the garden, so he is unable to burn off any energy. When he was walked he did pull on the lead, but with regular excursive this could be worked with. He isn't good with other dogs, and doesn't like cats. 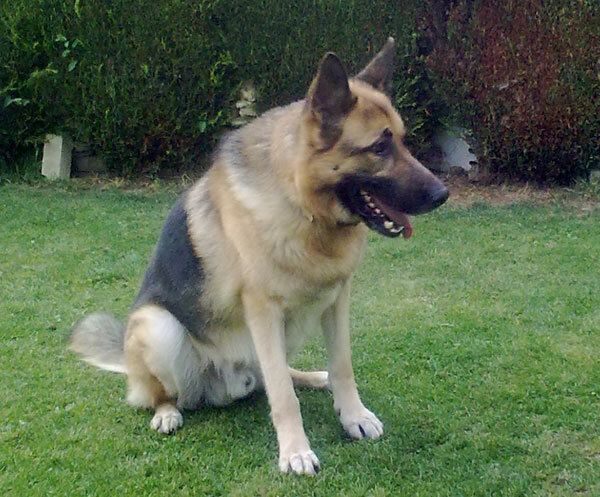 Rocky is up for rehoming because he is shut away for long hours whilst his owners are at work. We would like him to go to a home where someone is around for most of the day and give him lots of lovely walks and plenty of ball games. 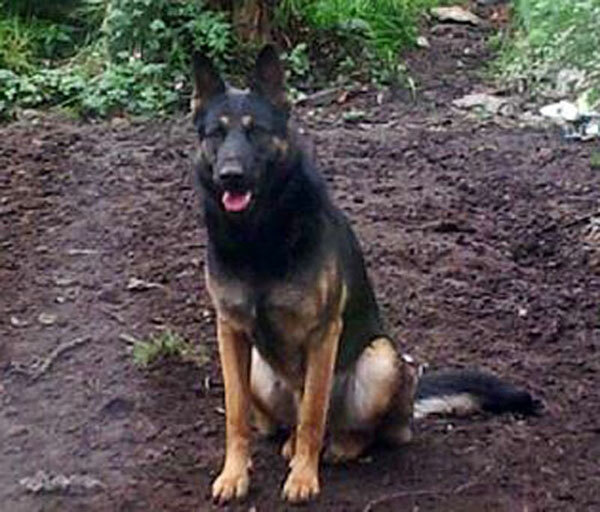 Stig is a black and tan, 2 year old German Shepherd Dog. He is in excellent condition and is much loved by his present owners but is quite strong natured. He will need firm, knowledgeable and experienced handlers in return he will give unconditional affection. He is good with children once he knows them, not good with other dogs, but this is something which can be worked on. Stig is not good with cats. 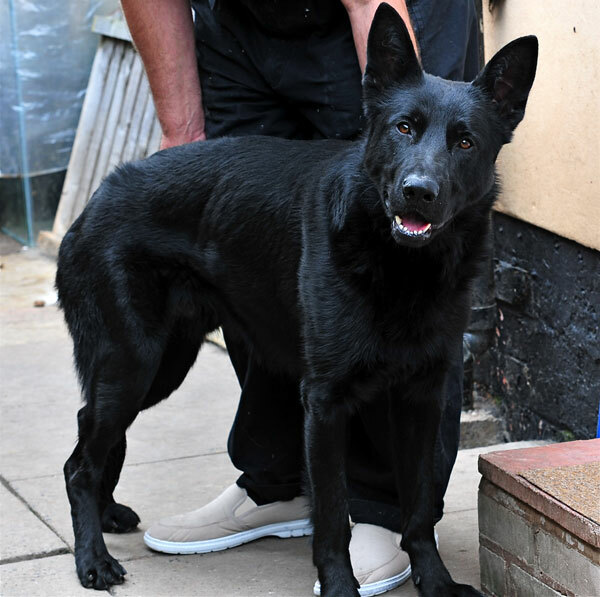 This lovely boy has good basic commands, sit, stay etc and is fully housetrained, we feel that he will benefit from going to a home where prospective owners have the time to give him some good long walks which will burn off his excess energy and also have the patience to spend time training him further. Jet is a lovely young dog who is a little nervous at first but soon settles. He is fine with visitors including grandkids that visit. He lives with another dog not sure about cats. He loves his ball and squeaky toys. He will make a fantastic pet but will require a little training on the lead. He is not neutered. Reason for rehoming is that his owners are downsizing house. Woody is 2 year old entire male, black and tan, long coat, very boisterious. Microchipped, booster due. 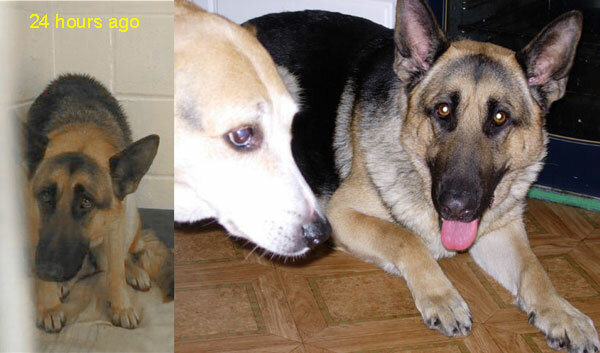 He lived with a female GSD and belonged to an older lady who couldn't excercise them. 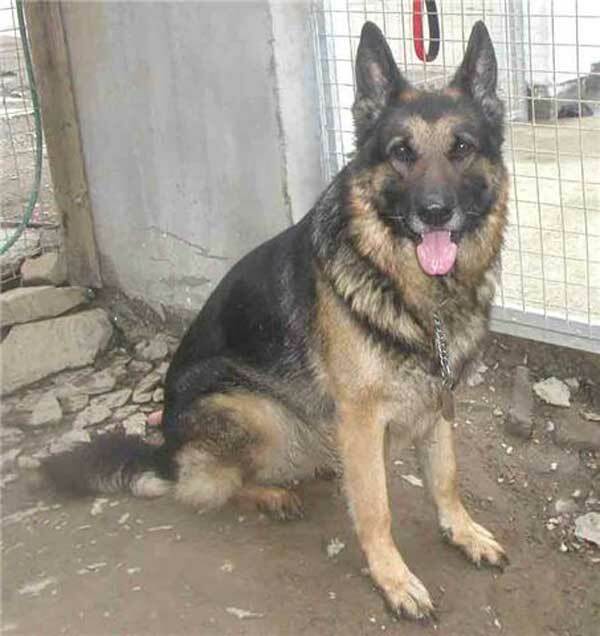 He kis not doing well in kennels and needs a home to call his own now. A beautiful dog, needs a bit of training but a calm lad who likes a fuss. This gorgeous boy came out of the pound where he was due to be put to sleep. He is a big dog and quite protective but he will be a wonderful companion for the right home. 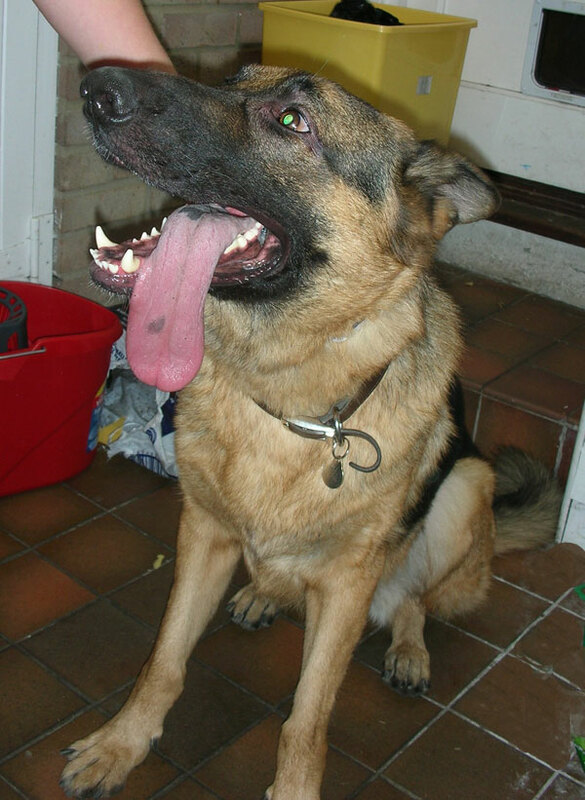 He has been neglected and abandoned so needs someone he can trust and look up to..
Tyson - 16mth old GSD - Microchipped. 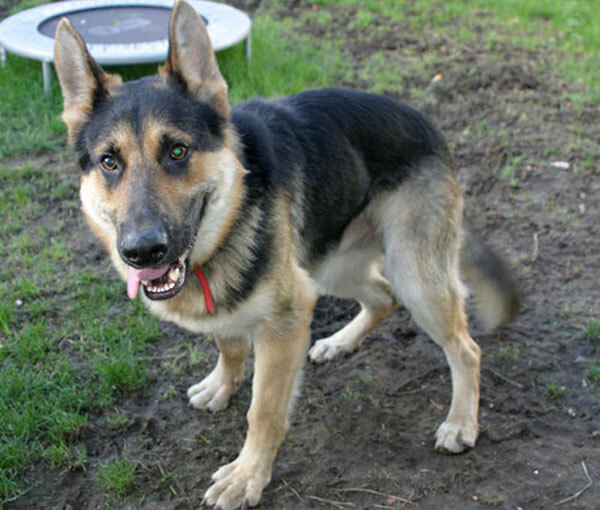 Tyson is a black and tan short coat GSD who is a very friendly playful boy, he is good with other dogs. He is house trained and needs to be tested with cats. Tyson is initially shy when he first meets people, he needs further socialisation and would benefit from attending training classes. 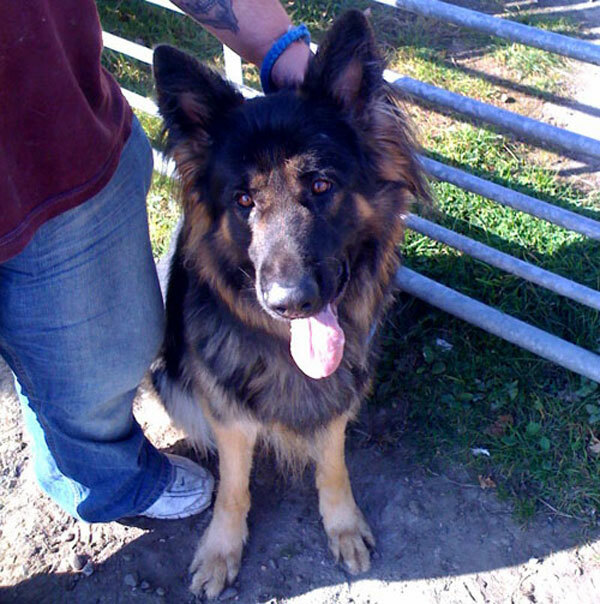 Bobby is approx18mths old and entire. He is a very active dog and the sort of home we feel he would suit best is one with land or enough space for him to run. He is always on the go and he needs more stimulation than he is getting in his current home. He is fully house trained and always lets you know if he needs to go outside for the toilet. He does need more lead training as he tends to pull a bit and is very interested in everything going on around him. 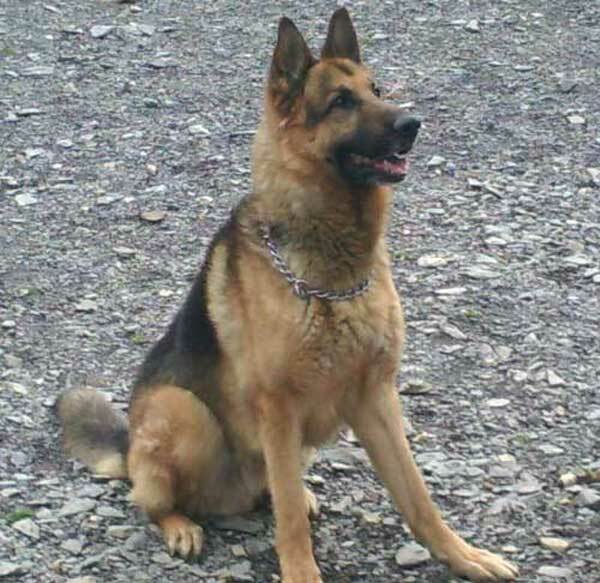 He is a typical GSD in that he allows people he knows to come into the home but does not like strangers. He has to be put out of the way until visitors are sat down and the dog can be introduced to them safely. He needs an experienced home without young children and one without cats as he hates those. Bobby does not bark excessively and has not chewed anything in the home and is quite happy to be left alone in the home without making noise or damaging anything. 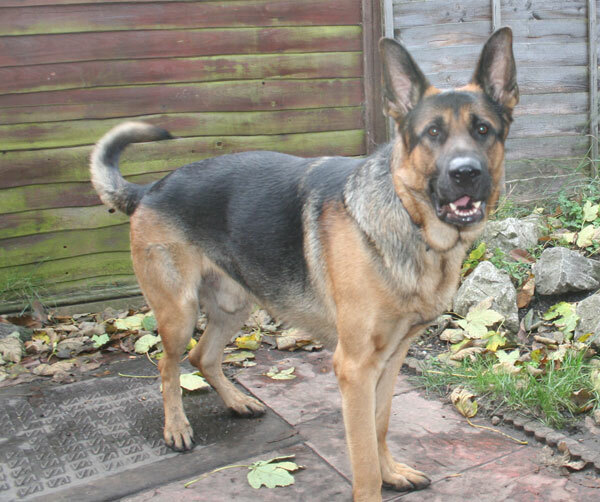 Oscar is an extremely handsome 3 year old black and tan German Shepherd Dog who just adores the company of children, we would suggest that he be homed with a family who have older children as he is a very bouncy dog and full of fun. He is an extremely happy dog and in every picture we have, he is 'smiling'. We have been told he is not good with other dogs but it is considered that with proper socialisation, this could be corrected. Oscar does pull on the lead, but we are of the opinion that this could be due to the fact that he does need to have a great deal more exercise than he is currently getting, during their walk, our handler found that Oscar did calm down on the lead after a while. Oscar can tend to be quite vocal - this again can be corrected if his prospective adopters are prepared to put a little work in with training. Oscar quite happily permitted our assessor to remove a ball from his mouth without any problem, he also allowed her to examine his teeth. This lovely boy needs someone who is prepared to give him firm leadership, if this is done then some very lucky people will have an incredibly loving, loyal and contented friend for life. This is Spike, approximately 4 years old, entire male. Spike has had a tough life so far, being passed around, even given away for free via the internet, so when he became protective of his new owner they handed him over to rescue. Spike has got very, very flat feet, obviously never walked. He can be quite protective, and would need an experienced handler. We know little about Spikes background so will not rehome him with children. He hasnt been socialised around other dogs a great deal, so would be better as an only dog. He is very loyal, and would be a great companion for somebody, once he learns to trust you, and whne he realises this will be his forever home. Unknown how he is with cats. This beautiful girl was in a central dog pound and due to be put to sleep this week. Gypsy is fine with children, was very friendly with children. Loves other dogs. Cant see cats as a problem, but not sure. She is a lovely, gentle girl. She loves her food, but takes treats very gently. Pulls a bit on the lead, but she isnt very strong yet. We would say she is only young, about 18 mths -2 years old.